After quite a serious multi-year drought, the winter rains almost returned to normal, bringing temporary relief to our heat stressed vineyards. January was warm and kicked the vines into a stage of advanced bud break. A cool summer helped push the harvest back about a week, allowing for maximum hang time. This hang time was very welcomed to encourage the phenological ripeness of the berries, developing ripe flavors and lignified tannins. We were able to harvest the vineyards successionally throughout September which resulted in some great wines to come. 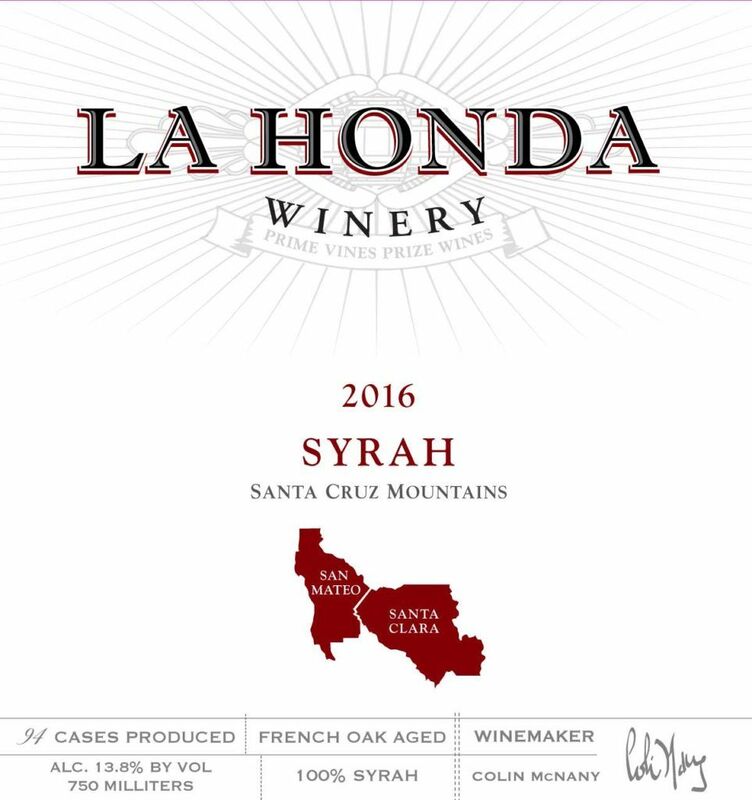 Our third production of 100% Syrah. A single 1 acre vineyard plot sits up in Los Altos Hills, with an incredible South-East exposure is combined with our first yield off a head-pruned 1 acre site in Los Gatos. A third of the ferment was left whole cluster, tipped into the bottom of a 5 ton open top tank, to be covered with rest of destemmed berries. This method of whole cluster fermentation brings forth more baking spice and structure to the finished wine. Fermentation temperatures peaked at 98 degrees, filling the winery with aromatics of pure hot chocolate. The wine sat on skins for 21 days, in which was then pressed off into French oak barrels, 15% new. Rack once to bottle, unfined and unfiltered. Wild blackberries, olallieberry pie, and salty dark chocolate and perplex us in how a wine can be so savory, salty and sweet at the same time. Recommend aging potential is 3-7 years.